No oil and no deep fryer needed! 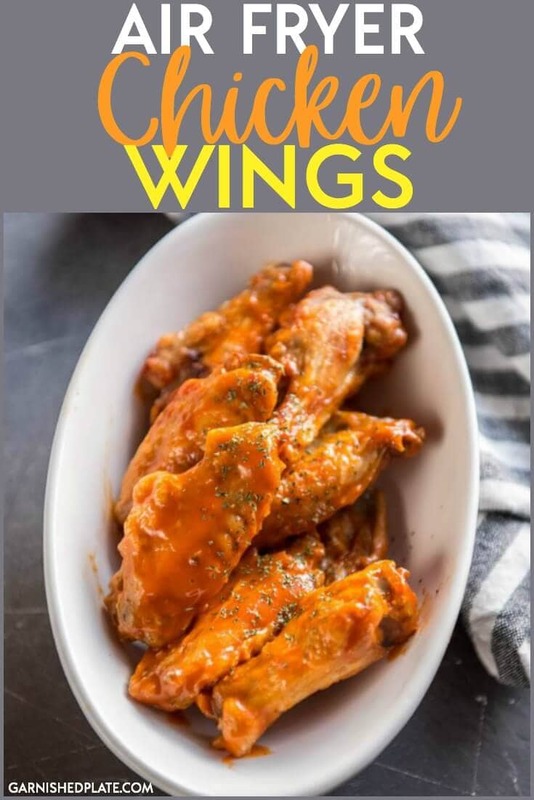 Easy Air fryer chicken wings are a healthier version of your favorite bar and grill treat. These chicken wings are so easy to make at home! For my air fryer garlic parmesan wings, click here! It’s time to ditch the deep fried version and get on over to the air fryer version! 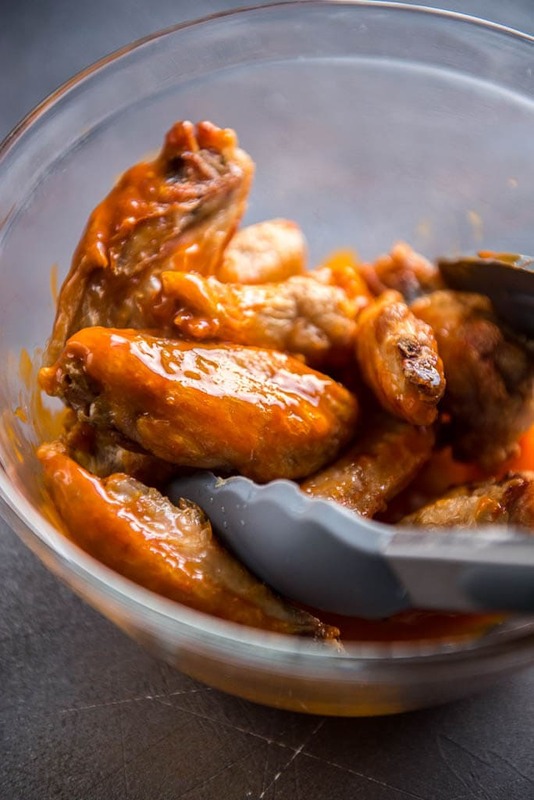 These Easy Air Fryer Chicken Wings only require two steps and two ingredients. You can now enjoy buffalo chicken wings again without stress or guilt! I’ve been hooked on creating air fryer recipes since I made these bacon wrapped Brussels sprouts, and these chicken wings were next on my list. Basically, anything I can do to make the recipes I love, but make them at home, and make them easy, and I’m game to try it! It’s really that easy to make chicken wings at home! Now, I love buffalo chicken wings, but obviously, feel free to choose your favorite sauce. Can I make baked chicken wings instead? YES! You will need to toss them with oil, though. Bake on a wire rack over a cookie sheet at 400 degrees for about 45-60 minutes. How do I prepare the wings for cooking? Wings come in three parts, the tip, the wing and the drumette. I was able to purchase the already trimmed version that has these parts separate and the tip discarded, I’d recommend this! What do I need for making chicken wings? An air fryer. I haven’t tried any others, so I can’t say for sure what’s best, but I bought this one at Walmart on a whim one day and I’ve been happy with it, but it is kind of small. 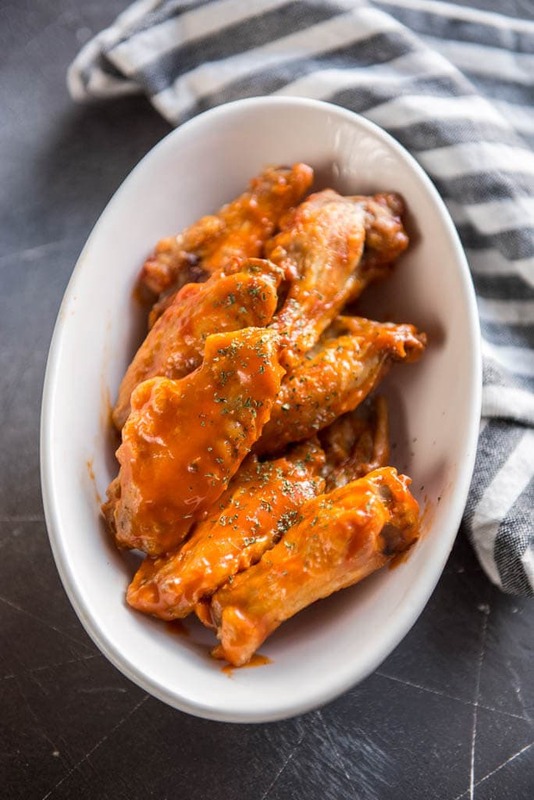 Buffalo wing sauce – test them out and find your favorite! I love Sweet Baby Ray’s, or, when I can find it, Ott’s. Tongs – makes easy work of not having to touch raw chicken or get sauce all over when tossing. I have 3 pairs of tongs because I use them all day long in the kitchen. No oil and no deep fryer needed! 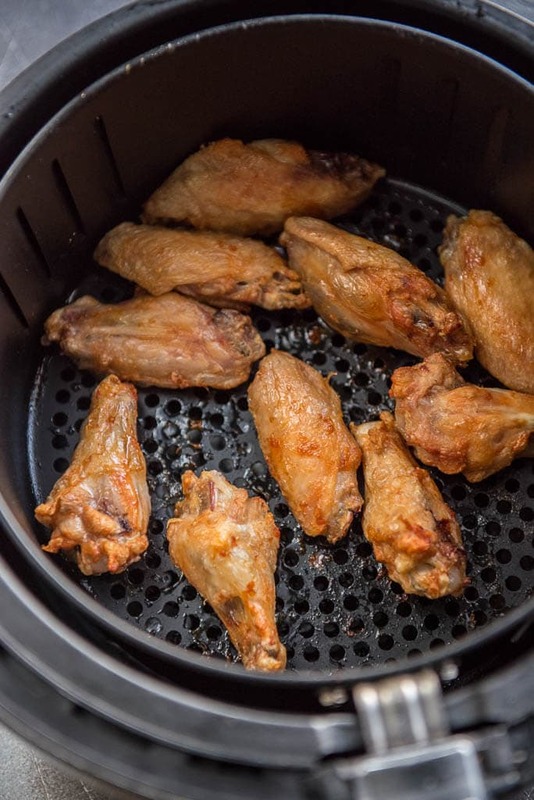 Easy Air fryer chicken wings are a healthier version of your favorite bar and grill treat. These chicken wings are so easy to make at home! 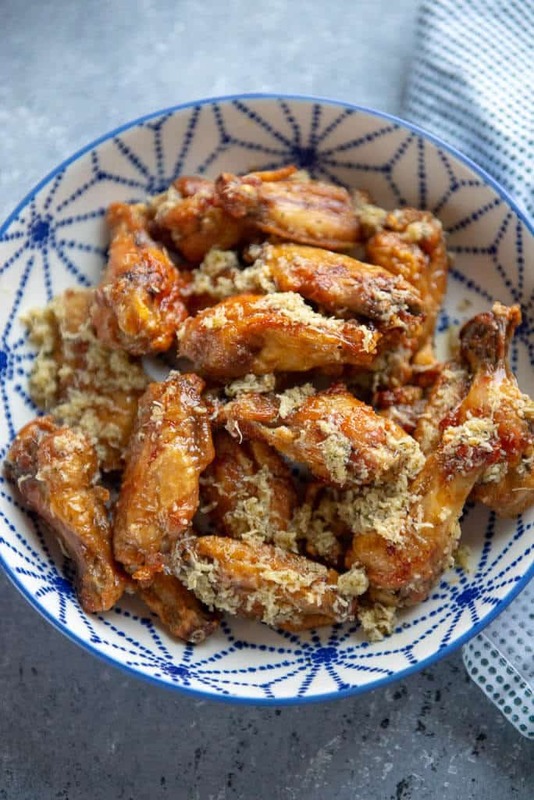 And if you can’t get enough wings, don’t forget to try my garlic parmesan version too! I like this recipe for chicken wings it works for our first time. Jennifer , it's really easy and simple to cook, and most importantly delicious, thank you!